Absolutely fabulous! And when they’re roasted like that you can always pull the skins off, if they’re tough. I’m still waiting for mine to ripen. I must have 150 green tomatoes on my plants! Thanks Mimi! How wonderful to have so many tomatoes growing in your garden! I don’t have a garden but my dad had quite a productive one and part of the fun for me was in the picking! What a wonderful combination Marisa, then again I love anything with ricotta so why not Focaccia! Thanks Nadia! When family arrives early for supper time these make great nibbles! Its really a wonderful combo and any fresh herbs would compliment this focaccia. There are a few steps but really not complicated at all…hope you get to try it! 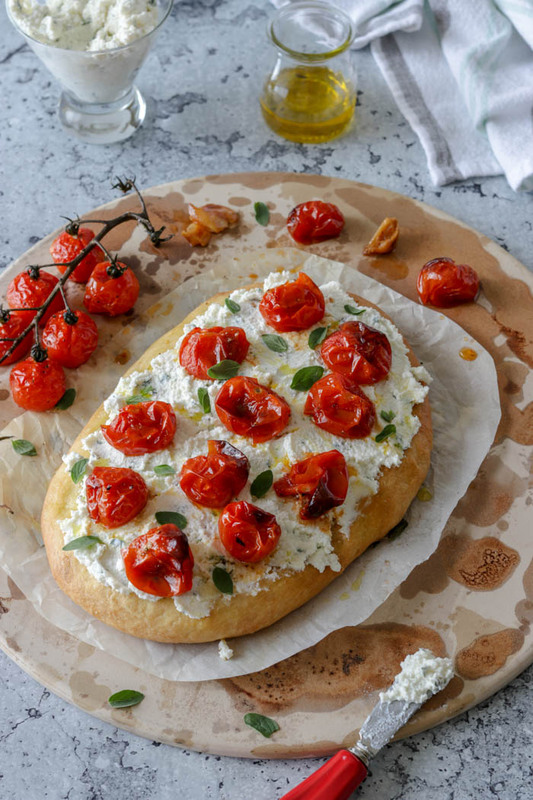 This looks wonderful, the perfect recipe for the next few weeks when all the cherry tomatoes will start to ripen at once! You are such an amazing chef Marisa. Hope you’ve been enjoying summer. Hi Annika…your too kind! I do believe we’re having the hottest summer on record but I won’t complain! Im sure your busy getting your kids back to school and I’ve missed seeing your gorgeous photos on Instagram! Thanks so much! Slowing getting back to the routine! Thank you dear. 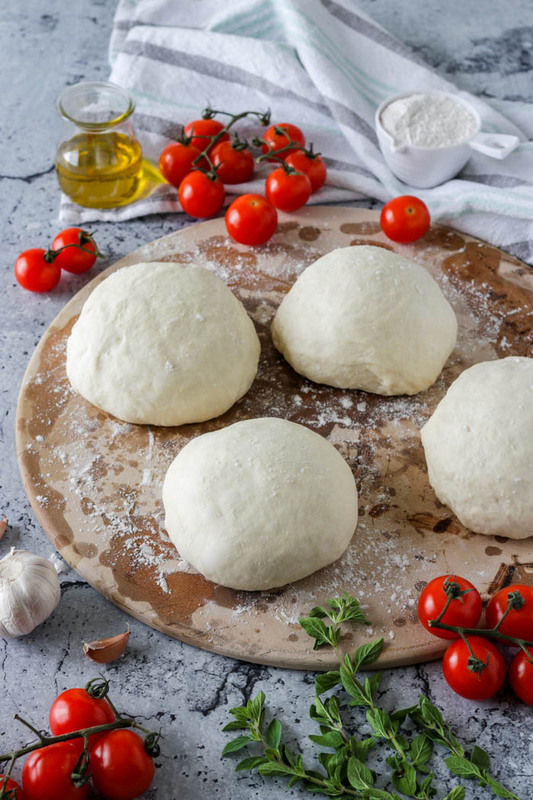 If it weren’t for the fact that it’s going to be in the 90s this week, I’d be getting some focaccia ready to bake and follow your recipe. I love your photos – they are just mouthwatering. Same here in Montreal it’s been an unbelievable hot summer and all I can say is thank goodness for air conditioning! Thanks so much Linda and hope you get to try it I’m sure you’ll love it! I love everything about this recipe, Marisa! 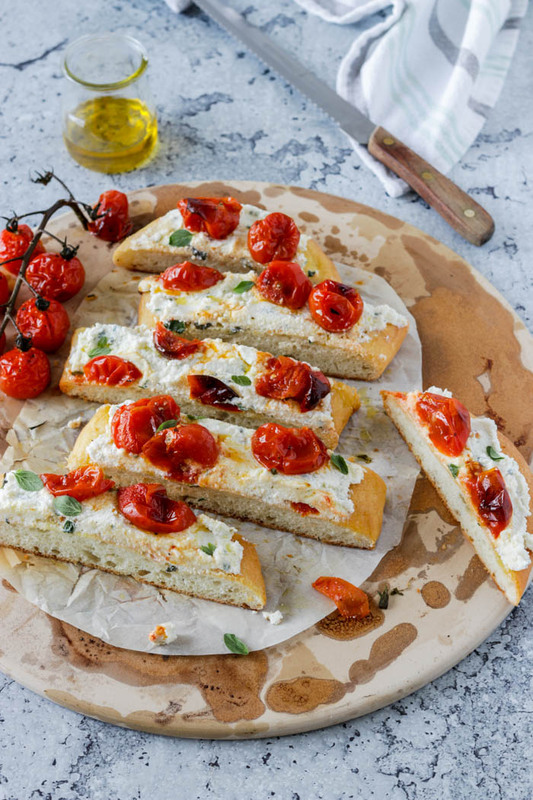 The caramelized cherry tomatoes are a treat in themselves and put on top of fresh focaccia with herbed ricotta is so appealing. What a lovely appetizer, too. Thanks so much for sharing. 🙂 It’s a winner, for sure. My family gets so excited when these are served as appetizers and yes the roasted cherry tomatoes are indeed fantastic on there own with just some crusty bread to sop up all the juices. Thanks Denise! 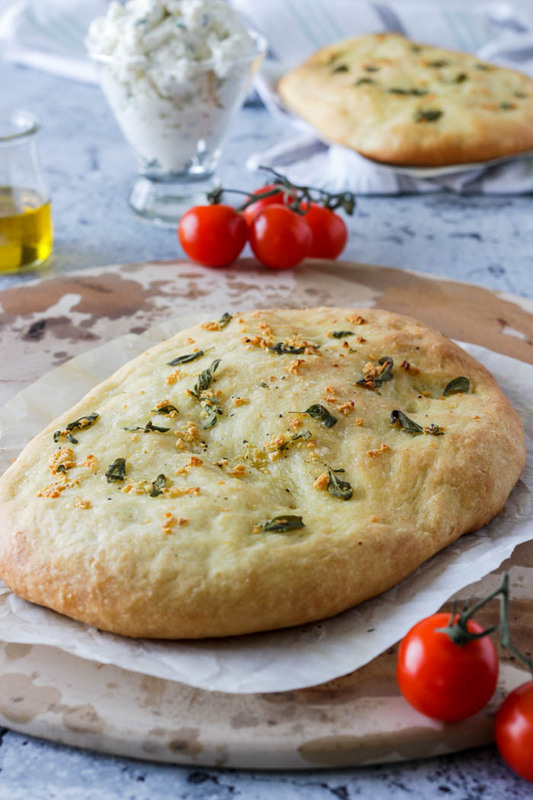 That focaccia looks so fluffy and delicious! And those roasted cherries look bursting with flavour! The perfect flatbread topping! 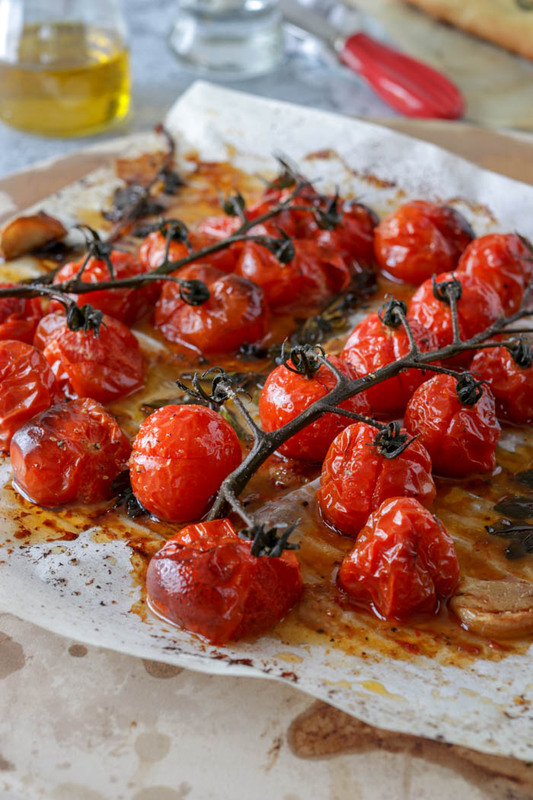 I love roasting cherry tomatoes…there are so many ways of serving them up and topped over focaccia is a family favourite! Thanks Leanne! The essence of late summer…simplicity, straightforward and ever so satisfying. They’re simple and satisfying indeed…the best of summertime! Thanks so much Paula!